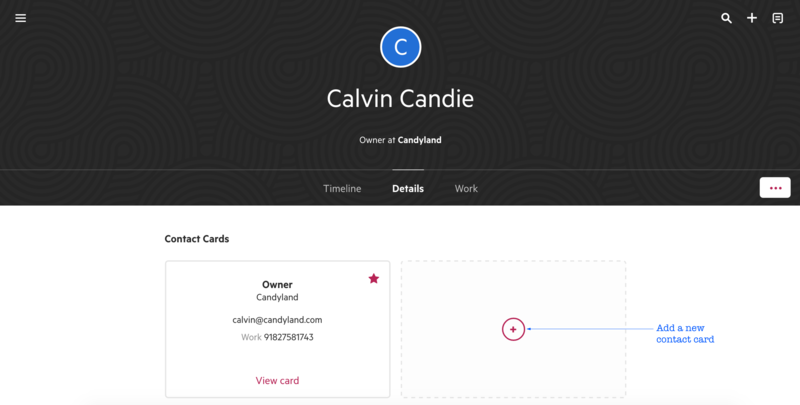 Contact cards are the way you organize the relationships between people and their entities in Karbon. 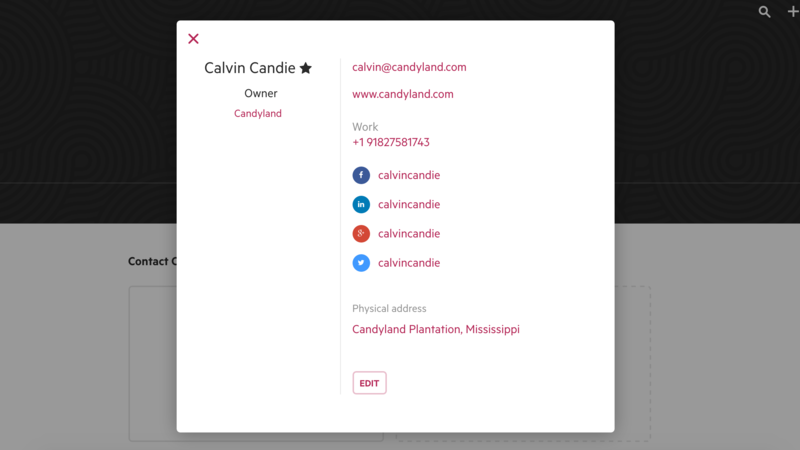 When you create a person contact, a primary contact card is created. Click on View details, which will display a snapshot of the contact's card. Click on Edit to change these details or add more. To add a new contact card go to the details tab, and then click on the "+" within the empty card. There is no limit to the number of contact cards you can create for each person contact—allowing you to link an individual to all entities that they are involved with.